The vibrant colours of Bollywood and the aromatic flavours of authentic South Asian spices took over the Boulevard at Wembley Park and surprised families and passers-by at the London Designer Outlet with a high voltage dance performance by ace choreographer Shiamak Davar’s troupe. Rajah Spices celebrated the spirit of South Asia by treating the community to a unique Bollywood dance performance and desi-flavoured masala popcorn. It was a medley of song, dance, weekend vibes and spice, with Bollywood presenter Anushka Arora anchoring the activity. 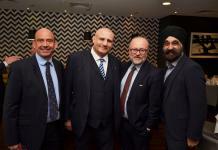 It was a regular Saturday at Wembley Park, until Rajah Spices took over the Boulevard to celebrate eight decades of Bollywood – with 1931 marking the birth year of Bollywood’s first multisensory film Alam Ara and the birth of the taste of home, Rajah Spices in the UK. While families were busy exploring the London Designer Outlet – the whiff of aromatic spices soon filled the air and adding to it were the invigorating performances by Shiamak London. The 15-minute-long performance ended with a Bollywood masterclass by Shiamak London, which saw hundreds of people join in. Children and adults alike joined in the revelry, making it a huge street party. Blue balloons lined the Boulevard, while the scrumptious Rajah Spices popcorn left people asking for more and when it came to the Bollywood beats – the whole community joined in. Sunrise Radio presenter Anushka Arora shook a leg with the audience, while broadcasting the celebration live on UK’s largest Bollywood station. “My child likes playing at the park, which is why coming to the Boulevard is an every weekend affair and we were pleasantly surprised to see Rajah Spices and Shiamak London performing for us. Both my son and me got excited listening to Bollywood songs out in the open and he had an amazing time dancing with the troupe. 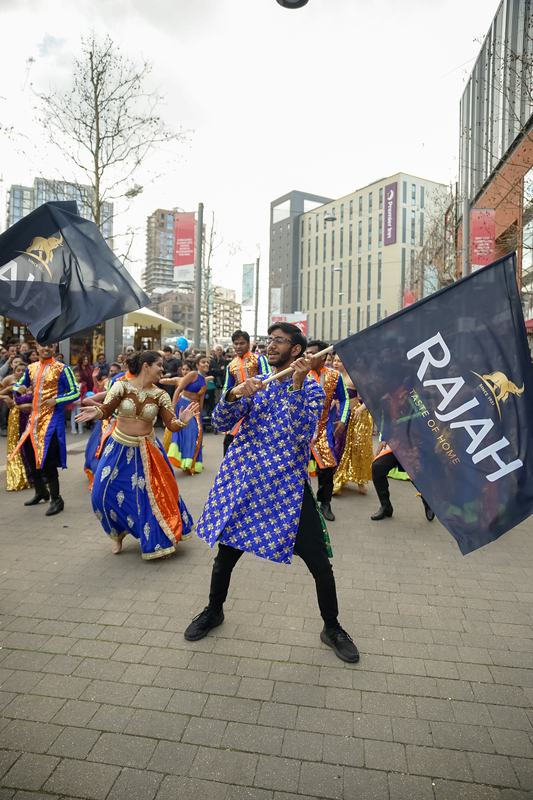 Rajah Spices truly brought the whole Boulevard to life and it was certainly one of the most enjoyable weekends we had,” said Mrs Upadhyay, mum to a nine-year-old. The weekend perfectly encapsulated the glamourous and sumptuous journey of eight decades in one day, with Shiamak Davar’s troupe and the tadka of Rajah Spices with desi-flavoured popcorn and Masaledar freebies.